Sometimes, the Chanukah decorations found in stores can be less than desirable, so making your own can be the solution to beautiful, creative decor. 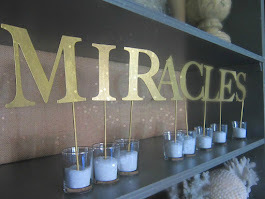 Last year I found tiny brass menorah place card holders on sale at Pottery Barn. 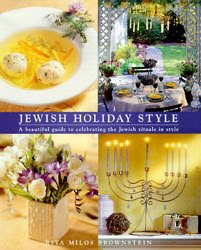 (These are no longer available but I found these mini doll house menorahs). 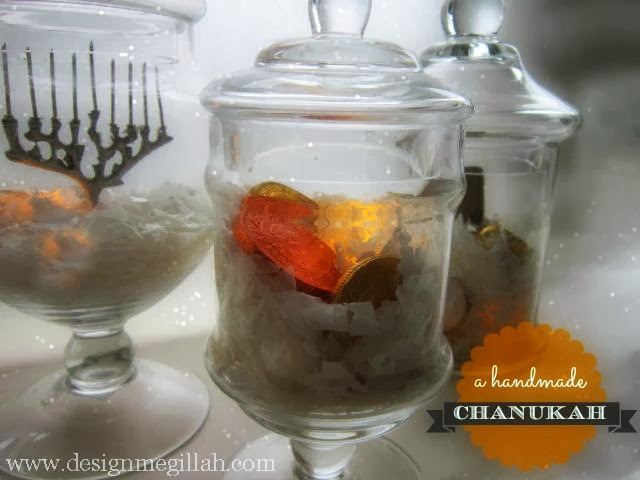 I put one in a small glass urn to create these small terrariums perfect for Chanukah! 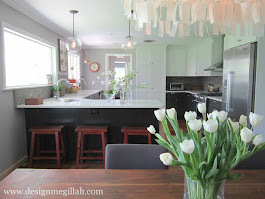 You can find these kind of glass containers at Marshall's and Michael's. 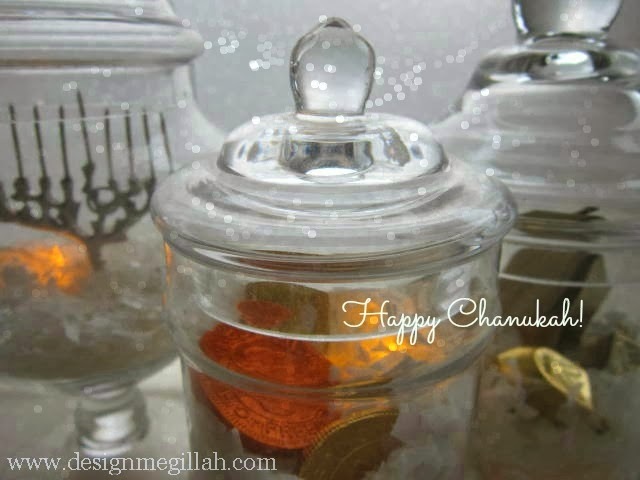 Each container holds a symbol for Chanukah: a mini menorah, chocolate gelt coins and gold dreydels. 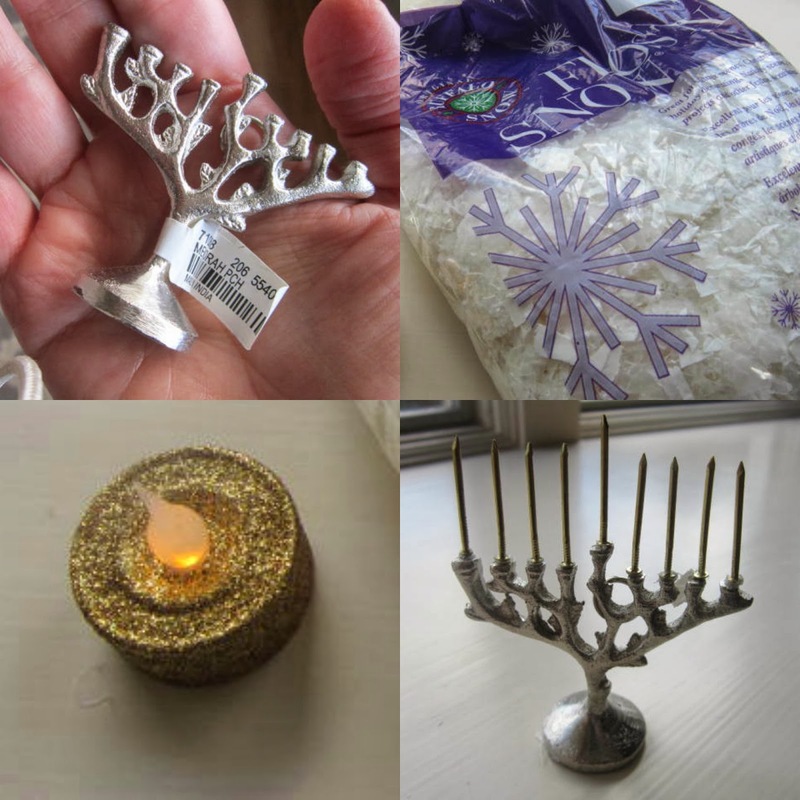 From top left: The place card holder, "snow" from the craft store, battery operated votive, the "candles" are nails turned upside down and glued onto the menorah! Because it's so early this year Chanukah is more autumn-like than winter-like but these terrariums make it feel like a white Chanukah! 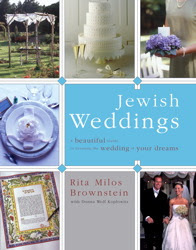 I am obsessed with those gold dreidels! Where can I get them?